Did you know these huge films and TV shows were filmed in west London hospitals? Hospitals may not conjure glamorous images to mind but behind their grey exteriors and lino floors lie some well-kept Hollywood secrets. Believe it or not a handful of west London hospitals have served as film sets for award-winning TV shows and global blockbusters. An Oscar-winning horror, a hospital-based comedy and a recent Mafia crime series all had scenes shot in these west London establishments. But can you guess which hospitals have been well-trodden by film and TV royalty? Read More News you might have missed Northwick Park Harrow's Northwick Park hosted the Anti-Christ in 1976 when film crews descended to shoot for the Oscar-winning horror flick, The Omen. 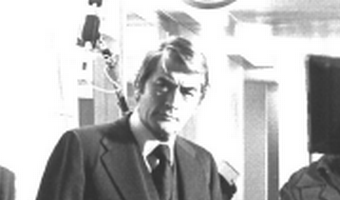 Scenes were shot in the hospital's upper floors and actor Gregory Peck’s resuscitative powers were said to rival clinicians as unwell female patients abandoned their beds and rushed upstairs hoping to see him. Satan aside, Northwick Park served as a set for comedy series Green Wing, in which it became the fictional … [Read more...] about Did you know these huge films and TV shows were filmed in west London hospitals?